If you were worried about third-party support for the Wii U, it seems that the upcoming Nintendo system is indeed going to have decent support. In addition to Ninja Gaiden 3: Razor's Edge, Nintendo's montage of third-party titles showed off Mass Effect 3, Tekken Tag Tournament 2, Aliens: Colonial Marines, Namco Bandai's TANK! TANK! TANK!, Darksiders II, and Trine 2: Directors Cut. 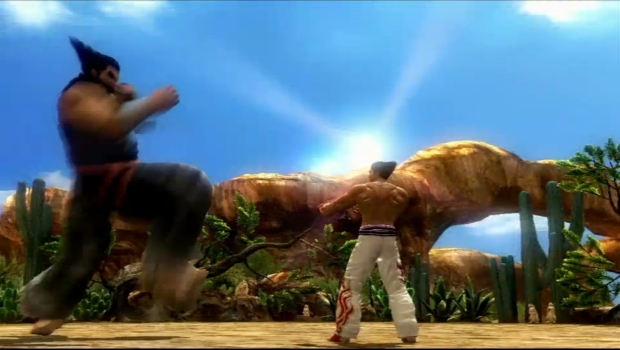 Notably, it looks like there could be some Nintendo-themed twist to Tekken Tag Tournament 2, as a short clip showed Heihachi absorbing a Mega Mushroom, growing to a bigger size. Some of these like Darksiders II were announced a while back, but it's nice to see a pretty diverse line-up, even if some are ports.